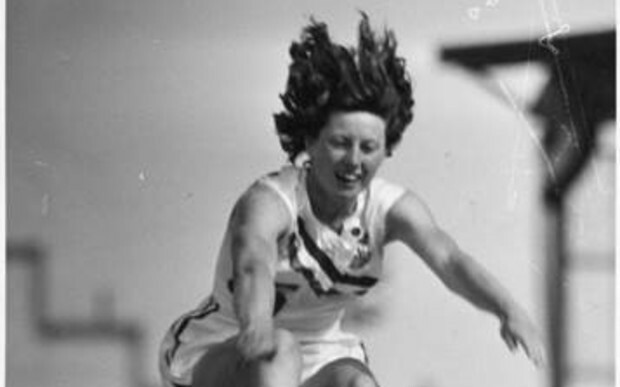 Yvette Williams, one of New Zealand's sporting greats, passed away on Saturday, 13 April 2019, aged 89 years. Williams was the first New Zealand woman to win an Olympic gold medal, taking out the women's long jump in Helsinki in 1952. She was an accomplished all-rounder on the athletic field. She won the gold medal in long jump and silver in javelin at the 1950 British Empire Games (later Commonwealth Games) in Auckland, and would go on to take gold in long jump, discus, and shot put, at the Games in Vancouver 1954. At the time of her retirement in November 1954, she ranked number one in world track and field history in the long jump, fifth in the pentathlon, 12th in discus and 19th in shot put. She also played netball at provincial level – representing Otago – and basketball at an international level, representing New Zealand. Yvette married Charles "Buddy" Corlett in 1954 – a New Zealand representative in softball and basketball – and three of their four children were national or international sporting representatives. Her brother Roy, was a gold medalist in the decathlon at the 1966 British Empire and Commonwealth Games in Kingston, Jamaica. In the centenary year of Athletics New Zealand in 1987, she was named 'Athlete of the Century'. She was named 'Sportsman of the Year' in 1950 and 1952, and made a Member of the Order of the British Empire in 1953. She was appointed a Companion of the New Zealand Order of Merit for services to athletics in the 2011 New Year Honours. She was one of the first inductees into the New Zealand Sports Hall of Fame in 1990, and voted Otago Sportsperson of the Century in 2000.
images: National Library of New Zealand.